continents with one arm reaching out to Asia and the other arm to Europe. Through the city’s heart runs the sea channel called the Bosphorus which reaches north to The Black Sea and south to the Marmara Sea. İstanbul is located in the Marmara region of Turkey and is a major seaport city as well as an industrial, commercial, educational, financial and trade center. Bosphorus. It is a natural channel seven km long and is connected by two bridges, the Galata Bridge and Atatürk Bridge. 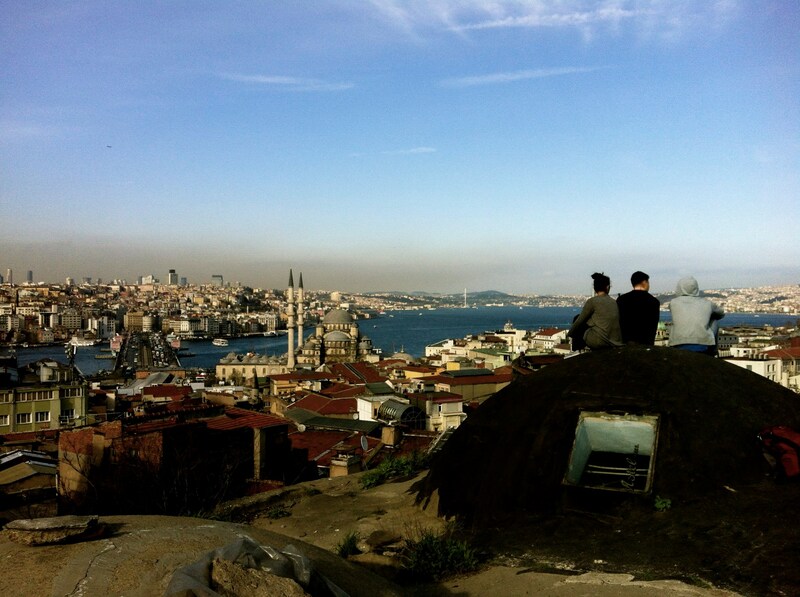 The Historical Peninsula, where the majority of historical monuments are found, lies along the Golden Horn and inside of the city walls of Constantinople. The most famous of these monuments are St. Sophia, Blue Mosque, Hippodrome, The Wall of Theodosius, Topkapı Palace, Suleymaniye Mosque, Underground Cistern, St.Eirene, St. Saviour in Chora, Archeological Museum, Grand Bazaar, Spice Market, etc. and luxurious shopping centers, but, at the same time, one is reminded of Istanbul’s history by the wooden houses bordering the Bosphorus and historical sites such as Dolmabahçe Palace, Çırağan Palace, Galata Tower, Nusretiye Mosque, Clock Tower, Yıldız Palace, Rumeli Fortress, etc. The Anatolian side of the city is a mixture of modern houses, lovely wooden villas as well as historical sites such as Anadolu Fortress, Beylerbeyi Palace, Küçüksu Kasrı, Hıdiv Kasrı, Leanders Tower, Çinili Mosque, etc. Within the urban district of İstanbul in the Sea of Marmara, there are nine islands, called Princess Islands, where Byzantine Princess used to be exiled. The largest and the most popular one is Büyük Ada, because the island is larger and there are many things to see and do. The island is famous for wooden mansions, well kept flower gardens and acres and acres of pine trees. The rest of the popular islands are Kınalı Ada, Burgaz Ada, Heybeli Ada, and Sedef Adası.